Our instructors are an experienced, multilingual team with a passion for diving and a great eagerness to introduce people to the world of SCUBA. We have a range of courses for people who would just like to try diving for the first time or want to continue their education and take the first professional steps of their diving career. Komodo has a wide range of dive sites for the courses we conduct. From aquarium calm bays for beginner students to fast drift dives for advanced students, Komodo has the full package. 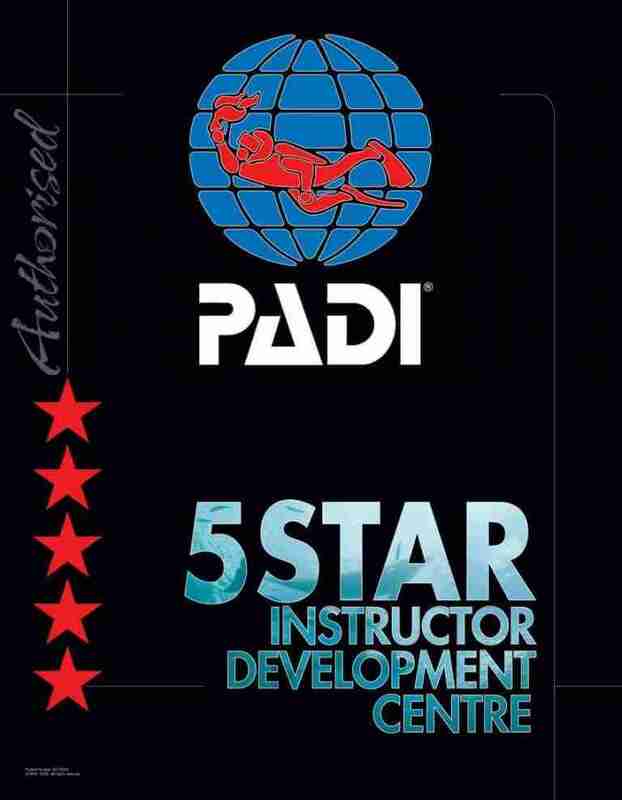 All of our students receive the PADI e-Manual upon booking. The e-Manual gives you the benefit of preparing for the course beforehand while helping to reduce paper! Do you love the sea and always wanted to dive with mantas and turtles? If you’ve never had the chance, time or maybe you’re feeling a bit unsure before you take the Open Water Course, this day trip is perfect for you! Scuba diving is our expertise and we introduce people to diving on a daily basis. Your instructor’s teaching methods will make sure that your dive will be both safe and fun. Our mission is to have your first experience breathing underwater feel confident, safe and unforgettable! We give you an introduction to safety rules, scuba equipment and basic diving concepts on the way to the first dive site. The first dive begins with some basic skills in shallow water to make you feel more comfortable underwater. After completing the skills you go explore the exciting underwater world of Komodo. Your PADI instructor will be by your side ensuring your safety while taking you to a world filled with colourful corals and tropical fish. This program is also the first step in the Open Water course and counts as your first open water dive! Everyone who is in good health and comfortable in the water can try this introduction dive. We always recommend refreshing up your dive skills if it has been a long time since you have been diving. With you personal PADI Divemaster or Instructor you will join us on the dive daytrip boat for 3 dives. The refresher course can be combined with any of the special day trips we offer. On the first dive we repeat a set of dive skills of the Open Water Course. These include: Mask skills, buoyancy skills and more. This training in the beginning of the first dive is intended to polish up those skills and be comfortable in the water. For the 2nd and 3rd dive there are no more skills and you will be fun diving together with your guide. Have you always wanted to learn to dive, discover new adventures, and explore the big blue? This is where it starts! It is the world’s most popular scuba course and has introduced millions of other people to the world of diving. It is the first complete certificate to become a scuba diver. During your Open Water Course, you will learn about the diving equipment, the necessary skills and theory to go diving safely. Before the start of the course, you will self-study the theory with the e-Manual that you receive upon booking or the PADI Videos. On the morning of the first day, you will cover the theory that you have studied together with your PADI Instructor. After a lunch break, you will train safety and open water dive skills in confined water. The following 2 days you come with us on the boat and make 4 open water dives and 1 free fun dive. All the dives are conducted inside the Komodo National Park. After the course, you will be certified as a PADI Open Water Diver, allowed to go to 18m and dive together with someone of similar certification level or higher. Everyone who is in good health and comfortable in the water and is able to swim. Expand your diving skills, boost your confidence and become more comfortable in the water with the advanced course. With 5 different adventure dives, you will be introduced to new activities and new ways of diving with the guidance of a PADI instructor. After preparing the theory through self-study you review your answers to the knowledge reviews with your PADI instructor. You learn to evaluate the practical assessments and safety considerations while planning and executing each different dive. Everyone who is 12 years or older with a PADI Open Water certification or other qualifying certification from another organization. This course is a complete training in primary care and first aid recognized worldwide. Train your practical skills in real life scenarios and gain confidence to prepare you to help in an emergency. Also suitable for non-divers. This is course is for everyone, no minimum age! Challenging and rewarding best describes the PADI Rescue Diver course. Learn to look beyond yourself and consider the safety and well-being of other divers. This training will prepare you to recognize and anticipate stressful situations of typical dive problems. With different scenarios you will practice and learn different rescue techniques with the help of specialized safety equipment. This course trains you to be able to take responsibility in stressful situations that can occur when diving. Everyone with an Advanced Open Water certificate or qualifying certification from another organization and a first aid + CPR certificate completed within 24 months (can be completed with the course_). The Divemaster course is the first professional degree to start your career in the diving industry. 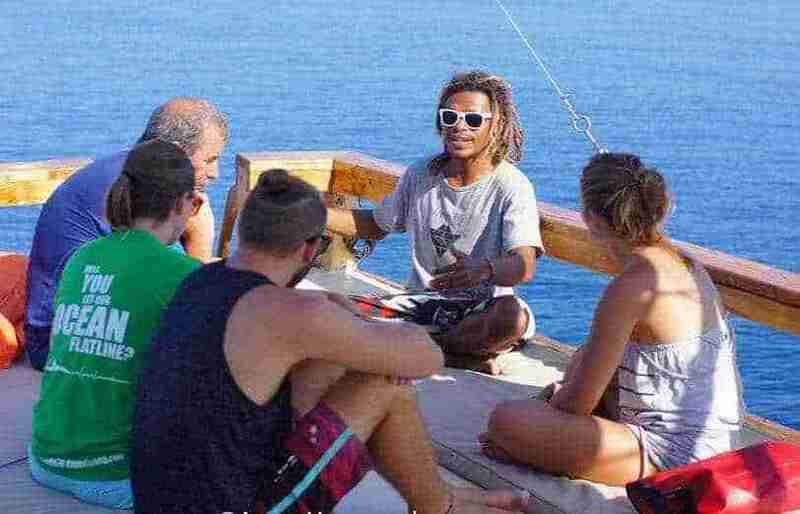 The Divemaster training develops your leadership abilities, increases your dive knowledge and polishes your dive skills to the professional level. During the program, you learn in-depth dive theory through self-study. Follow an internship to complete your diving skills and training exercises that stretch your ability to organize and solve problems. Live the diver’s life and explore the underwater world like never before! Following this course, you will be qualified to guide dives and assist in PADI courses as well as have a good understanding of what being in this industry is all about! Everyone with a Rescue Diver certificate and Advanced Open Water certificate or qualifying certification from another organization with 40 logged dives. The minimum age is 18 years old and a medical clearance is needed to be signed by a physician. A first aid and+ CPR certificate completed within 24 months.